Vamos Rent-A-Car is one of Costa Rica’s most recommended car rental companies due to their high customer satisfaction ratings on websites such as Facebook, Google Plus and TripAdvisor.com. An independent survey of TripAdvisor threads in Q2 of 2015 found that Vamos was mentioned 440% over their closest rival Adobe, 782% more than Budget, 950% more than Dollar, 1023% more than either Alamo or National, and 1900% more than Service. Vamos has gained a strong reputation and a firm returning customer base due to its meticulously maintained vehicles, competitive pricing, and attentive and personal customer service. Vamos Rent-A-Car is a Costa Rican car rental company founded in December 2004 by George Schwarzenbach. 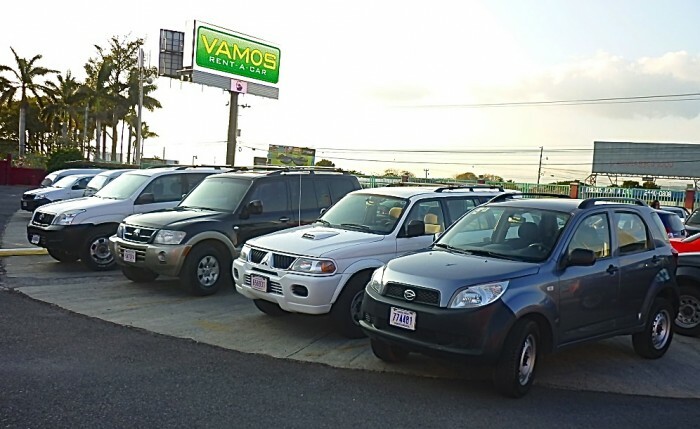 At that time, Vamos initially started under the name of "Pura Vida Rent-A-Car" with a lone 2001 Kia Sportage and advertising in Costa Rica’s only English-printed newspaper, the Tico Times. The mission was to provide affordable rental car options for long-term visitors or tourists in Costa Rica. Early adventures combined with near-disasters, led to the formalization of contracts and of the company as a whole. When the fleet reached seven pre-owned 4x4s in December of 2005, the company began operating as "Affordable Rent-A-Car" to avoid any confusion with the other "Pura Vida" companies. The success of the fledgling company drew the interest and investment of a Miami partner along with a further name change, designed to make the company sound more appealing in June of 2006. Vamos (which means "Let’s Go" in Spanish) was born, although the company continues to trade under the corporate name Affordable Rent-A-Car. Vamos Rent-A-Car moved into their Alajuela office location near the Juan Santamaria International Airport in December of 2008. At the beginning of 2013, the Vamos fleet numbered more than 130 vehicles and the company had two additional offices; one based in Dominical/Uvita and the other in Liberia, serving the Daniel Obudar Airport. The fleet reached 155 vehicles in 2014 and by 2015, it had grown to over 200 vehicles. They also opened a new virtual office in the Manuel Antonio area to replace the Domincal/Uvita location and serve the Quepos La Managua Airport (XQP). Vamos employed 25 team members, from counter help to their own automotive shop. 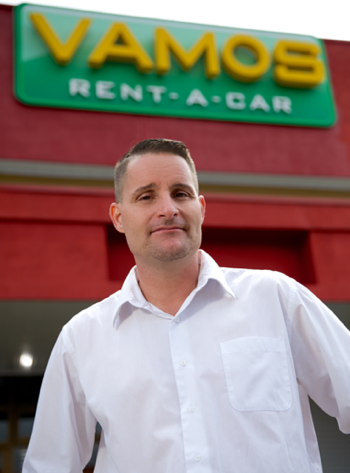 In April of 2016, the Vamos brand was officially purchased by Poas Rent A Car. Their press release outlines further details, but the main points are that the two companies remain separate entities, share a combined fleet of 131 vehicles and the Manuel Antonio office was closed until further notice. By mid-November 2016, the fleet grew to 196 vehicles; 89 of which were brand new vehicles. The particular makes/models are outlined in this press release. By Q1 2018, the shared fleet grew to nearly 250 vehicles with a substantial increase of the most popular car category — the Intermediate 4×4 — with leasing brand new models. The company continues to operate under the premise that "the customer is king" and provides continuous staff training to ensure that Vamos representatives are offering clients the customer service that they deserve. Select Costa Rica is an inbound, receptive tour company that was established in 2006 to offer personalized vacations throughout the country and operates as a sister company. Until recently, George Schwarzenbach was the General Manager of Vamos Rent-A-Car, Costa Rica. He has built the company from scratch over the past ten years to a thriving business. A graduate of International Business and Marketing and experience in fields of work as diverse as a stockbroker with Morgan Stanley to a tour operator in Miami; George is perfectly qualified to see the void in the Costa Rican car rental market and equipped to structure the business capable of filling it. Drawn to Costa Rica’s peaceful culture and family-orientated lifestyle, German-born George and his wife settled here and have four children; two of whom are adopted. When he isn’t busy working, he enjoys spending time with his family, traveling, reading, and keeps fit by regularly working out. Alex Villalobos became the new Operations Manager in April, 2016. His bio to follow shortly. George Schwarzenbach is the Director of the Board for the "Asociación Costarricense de Auto Rentistas" (ACAR), or the "Association of Costa Rican Auto Renters". VamosRentACar.com : This newly designed website with an updated reservation system. Vamos4x4.com : The original website.